Once again in crisp-yet-sunny Bad Aussee, the students of BORG donned their elf shoes and festive cheer to collect shoeboxes for underprivileged children, this year in Moldavia. 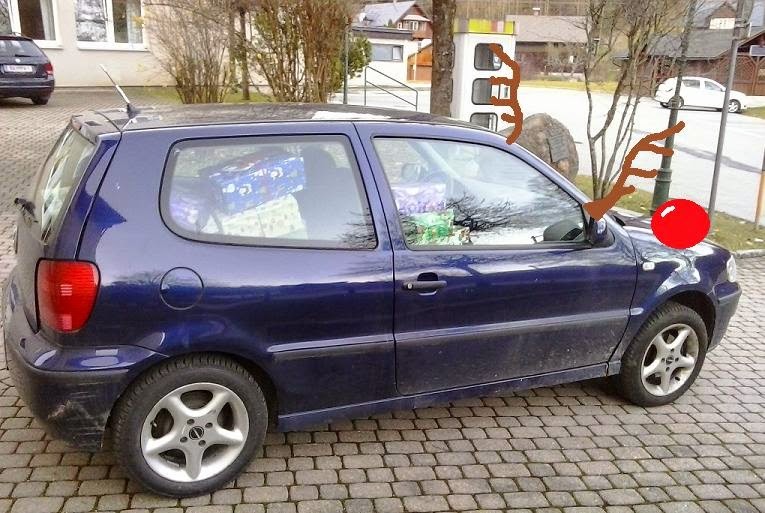 Filled with goodies such as warm clothing, school stationery, toiletries and sweets, 36 boxes in total were piled into a VW Santa sleigh by Santa’s little helpers and driven to Villa Minna BA on November the 14th to be picked up. The initiative, run by the charity “Geschenke der Hoffnung, or “Samaritan’s Purse” to Anglophiles, started in 1970 and strives to bring hope and help to countless developing countries around the world. Last year, almost 500 000 boxes came from German–speaking countries , 10% of which from Austria with 327 drop-off locations around the country. Ausseerland alone collected a total of 229 boxes this year- impressive!! Not only were our BORG students wrapped up in preparing boxes, but the 7B class also designed homemade Christmas cards last month, which were signed by multiple pupils and are now nestled in the boxes, which are already on their way to children in need. The icing on the cake, or perhaps ‘star on the tree’ would be more fitting, was the monetary donation collected by 3 students from the 7th class, who went round BORG, HAK and HLW and managed to collect over €180. At this time of year it warms the heart to see so many young people thinking of others, and wanting to do something special for children who, through no fault of their own, were born with far less in this world. An enormous thank you to all who took part. Ho, ho, ho!